Mountain ready must-haves for the upcoming ski season. It’s that time of year again, the days are getting shorter and the air has a crisp cool feel. This can only mean one thing – winter is on its way, and you’re one step closer to being on your skis. We’ve already given a full rundown on the base layers you need to stay warm and regulated on the slopes, now it’s time to check out some of the hottest new midlayers for men. Don’t let moisture bring you down, the Spyder Limitless Cannon Zip T-Neck offers moisture wicking, quick-dry technology for comfort lap after lap. Stretch polyester fabric with DRYweb technology allows you to move and shake down the mountain, and the front half zipper makes for easy layering when just a little more warmth is necessary. The Spyder Limitless Cannon Zip T-Neck gets its edgy appeal from race-worthy graphics and reflective details. When the mountains start calling, the Limitless will be there to help you answer. When it’s not quite cold enough for your insulated jacket, and way too cold for a t-shirt the Linard Midlayer Jacket will bring a stylish mix of woven paneling and warmth to your on and off piste wardrobe. This all-weather midlayer is crafted out of KJUS’s innovative wool-blend and features an outer layer designed to help regulate body temperature while you’re being active. The Linard is attractive enough to take your special lady out on a date or crush the backcountry when the temps drop. Everything about the Tech Glacier ¼ Zip is inspired by the mountains. This versatile, smooth-face fleece is the ideal layer for spring skiing and mild weather hikes because of its moisture-wicking, quick-dry fabric that keeps you regulated on every adventure. The durable, streamlined quarter-length zip allows you to cool down when things start to heat up and the Tech Glacier’s relaxed fit and its 200-weight makes it the ideal piece to add to your winter wardrobe. If you’re seeking effective thermal regulation, look no further than the Stryka Hoody from Arc’teryx. Updated with air permeable, moisture-wicking Torrent 170 polyester blend fabric, Arc’teryx has made a midlayer that can accommodate changing weather conditions. The balaclava style hood can be used as a neck warmer or to provide additional warmth under your helmet, while the fitted, straight cut torso hugs your body for ease of layering and unmatched mobility when you need it the most. This versatile ½ zip from Helly Hansen is the perfect companion for your active mountain lifestyle. Made for lightweight layering, the Phantom ½ Zip is designed with flat lock stitching for reduced bulk and features a low-friction smooth construction. The ½ zip design makes regulating your temperature easy and slick face stretch tricot offers next-to-skin comfort while allowing the mobility you need when you’re ripping down the slopes. Well, there it is guys 5 midlayers you’re definitely going to want to add to your on slope wardrobe for the 2018/2019 ski season. 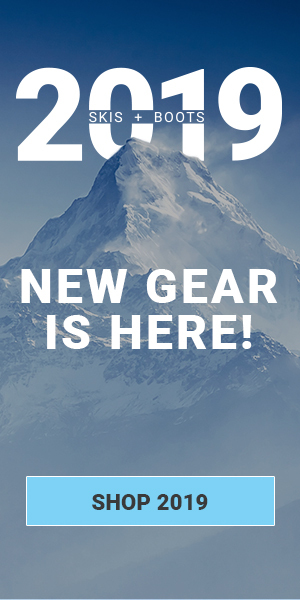 For more information about the midlayers listed above and our entire collection of men’s midlayers, visit us at SKIS.com, and as always don’t forget to follow us on Facebook and subscribe to our blog below to keep up-to-date with all things skis. Ski and Snowboard Memes to Get You Pumped for the Season!